Around 70% of the United States populace lives in a place that experiences snow. When it comes to vehicle safety, behavioral factors cannot be emphasized enough. The reason is that actions like drunk and distracted driving are the culprits in the majority of car accidents. Still, circumstances that are outside of people’s control frequently play a role. One example is snow, which accounts for a significant amount of crashes in St. Louis and all around the country. Below, we outline some snow driving statistics, why it is so dangerous, and our top safety precautions to take. Around 70% of the United States populace lives in a place that experiences snow, and most of them are forced to face snowy roads. When you dive deeper into the statistics, you find that roughly 1,300 people die every year from snow-related car accidents, and about 115,000 more are injured. Though there are thousands of parts that make up a car, the function of it relies on one simple concept: Friction. This force allows you to stop, start, and turn effectively. If you’ve ever been stuck while driving any sort of vehicle, you understand this. When a car gets stuck, its tires cannot gain any traction in the current environment. The result is that instead of moving the vehicle, they just spin in place. Another situation in which friction plays a role is skidding when trying to brake or turn, which can have disastrous results. The following are some best practices for driving in the snow. If you follow them, you will dramatically increase your odds of staying safe. Slow Down – When you have little or no traction, your car will not slow down correctly when you hit the brakes. Instead, it will continue to slide on the icy road. The avoid this situation entirely, you should reduce your speed significantly. That way, you do not have to slow down from a high speed, and your brakes will work much better. Brake Early – Similarly, starting to break earlier will help you avoid skidding. The reason is that if you have a lot of time to stop, you can lightly apply your brakes and come to a gradual stop. If you brake hard, you put yourself at risk of losing control. 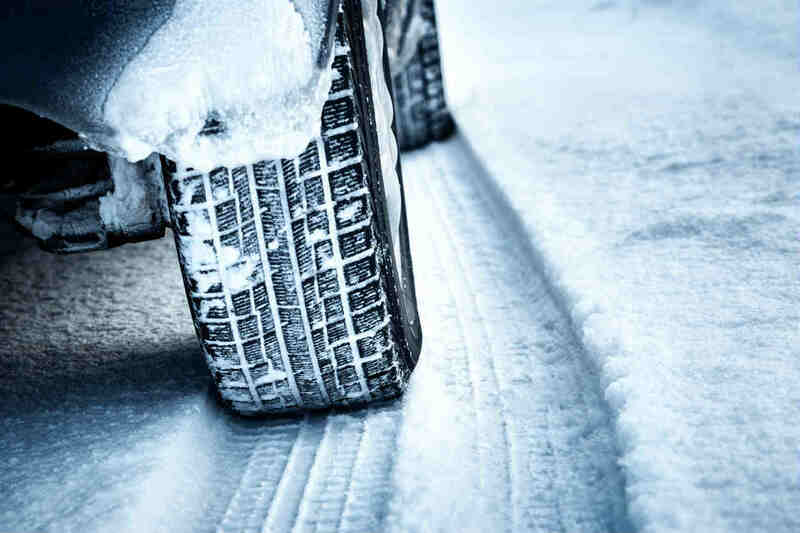 Utilize Snow Tires or Chains – One of the most critical actions you can take is purchasing the right gear. In moderate conditions, snow tires should be sufficient. In heavy snowfall, you may opt for chains. While St. Louis does not usually experience extreme snowfall, it gets its fair share of snow and sleet every year. This means that understanding how to drive in this type of weather is well worth your time. To stay safe, be sure to follow the precautions on this list. If you end up getting in a weather-related accident due to someone driving recklessly, it is in your best interests to speak with a St. Louis car accident lawyer as soon as possible to ensure you legal rights are protected.